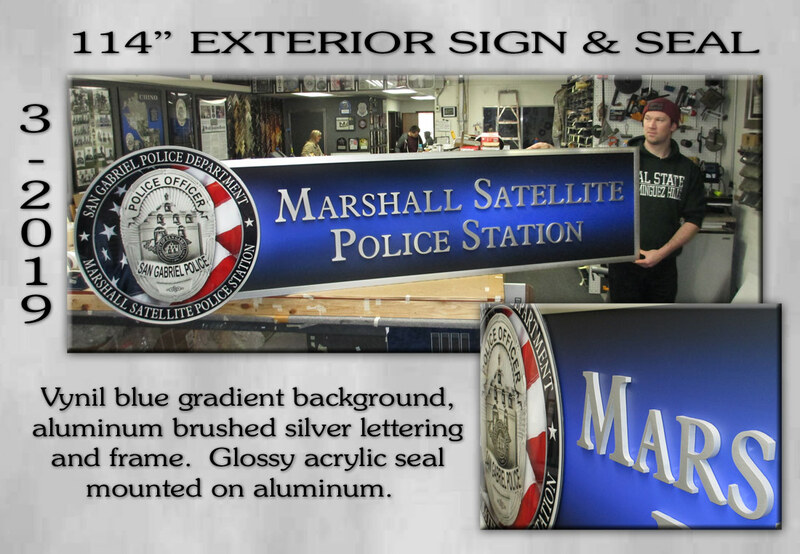 Exterior / Weatherproof Outside Oversized badge sign. San Leandro PD E.O.W. 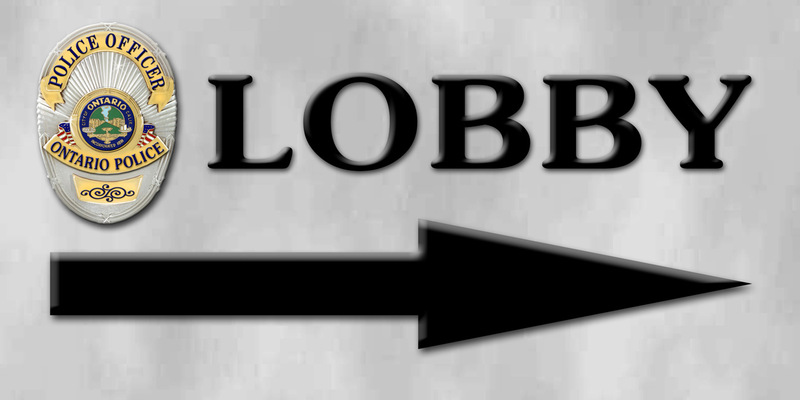 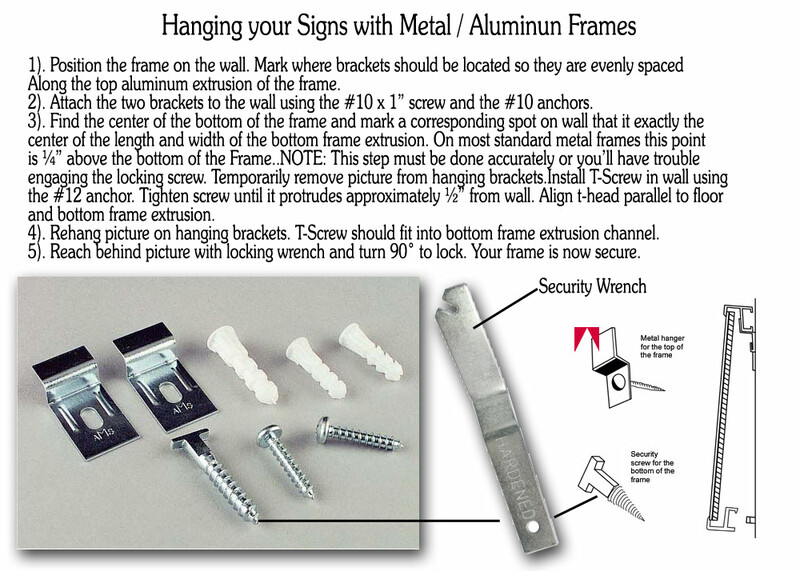 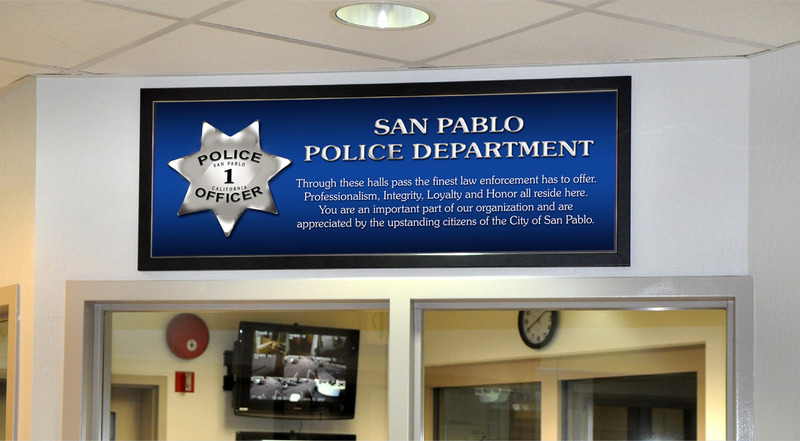 Header Signage. 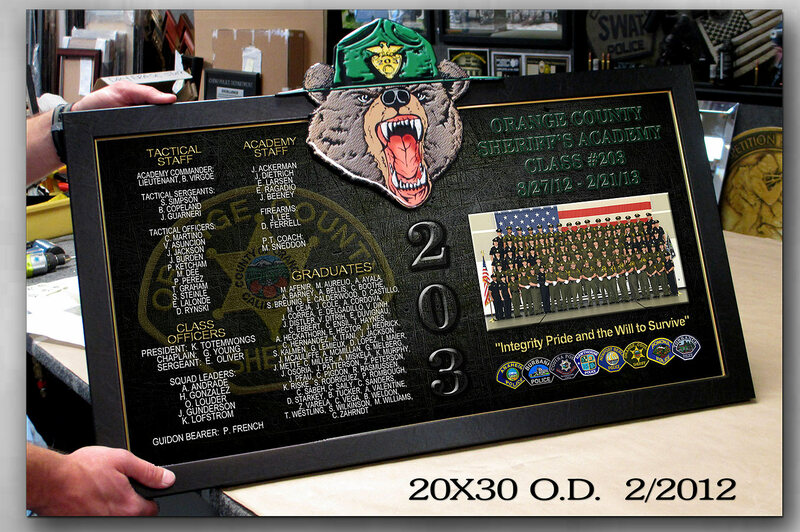 San Diego County Sheriff's Museum E.O.W. 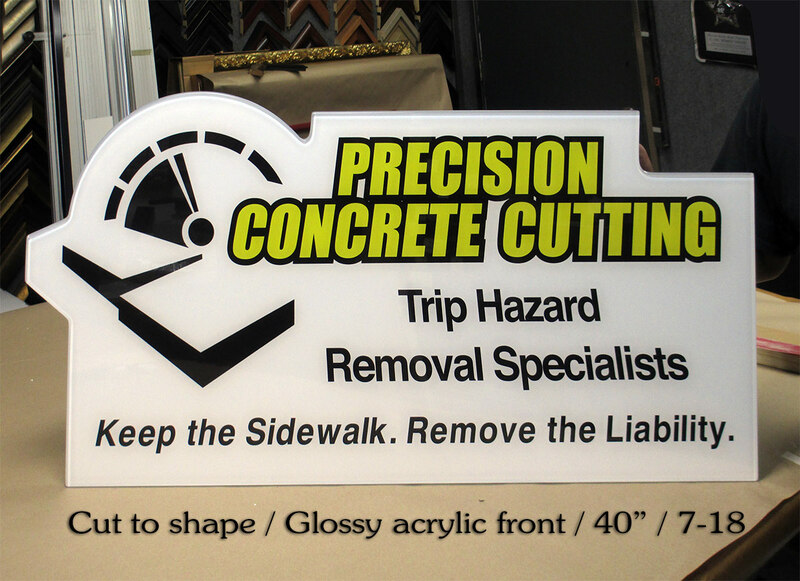 Header Signage. 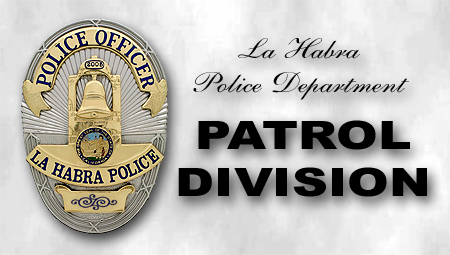 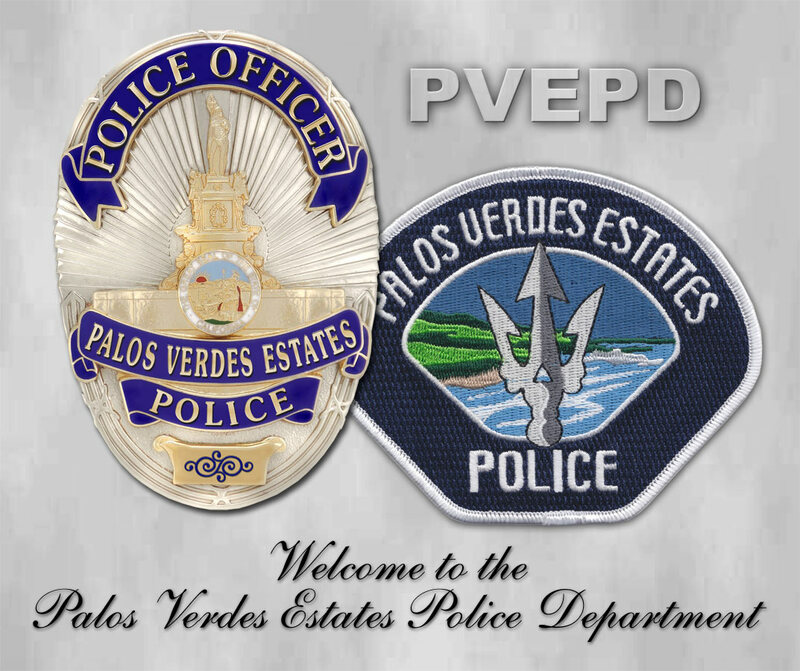 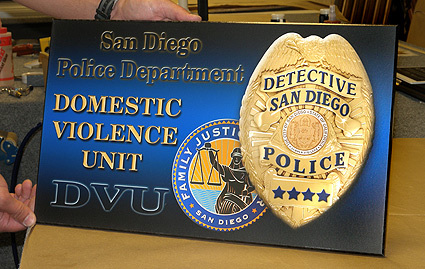 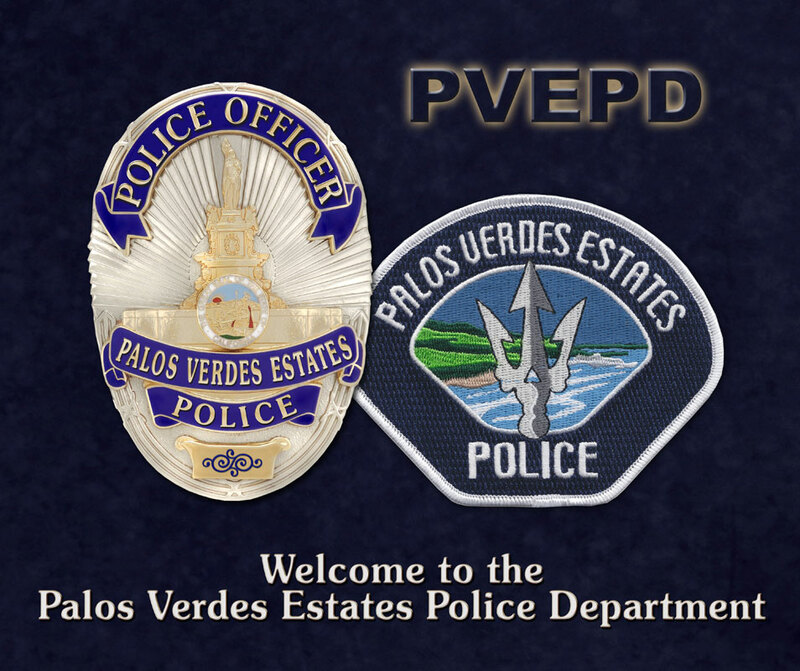 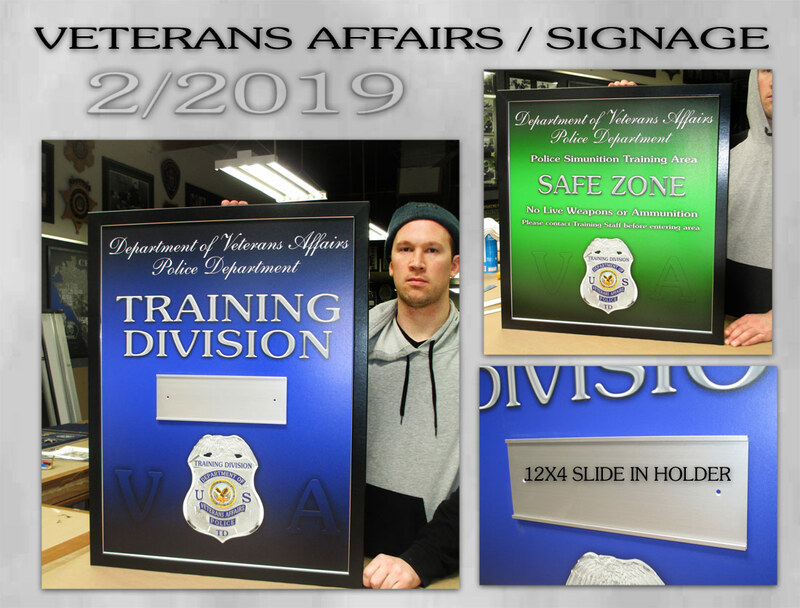 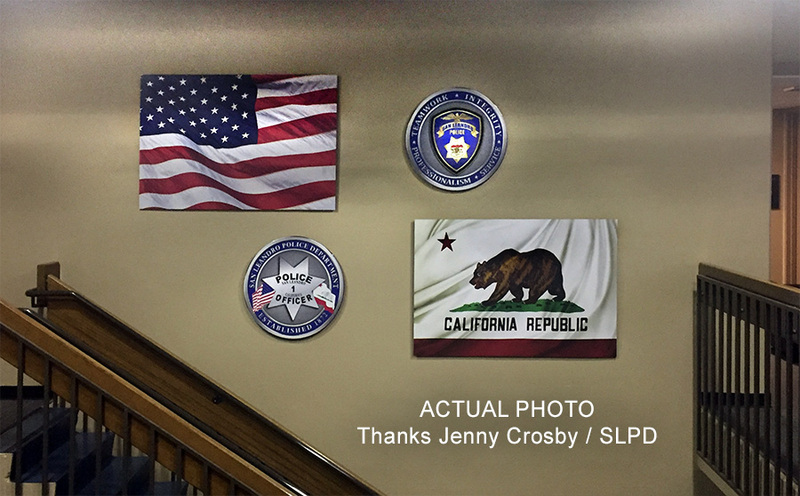 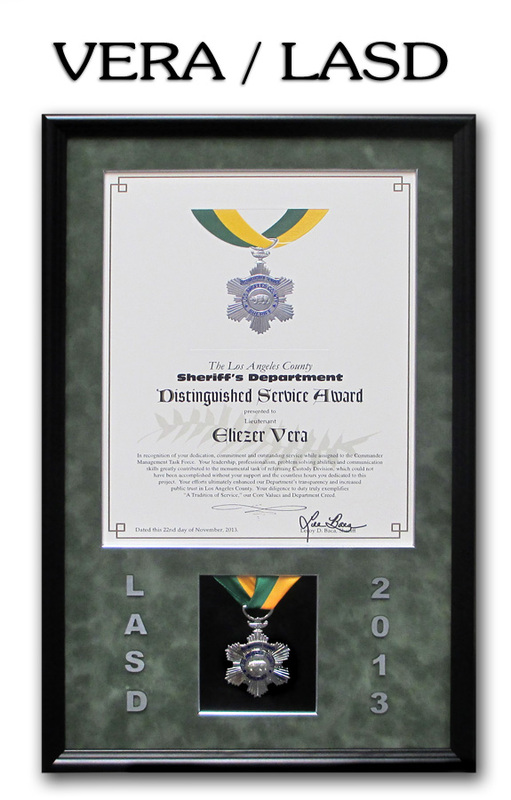 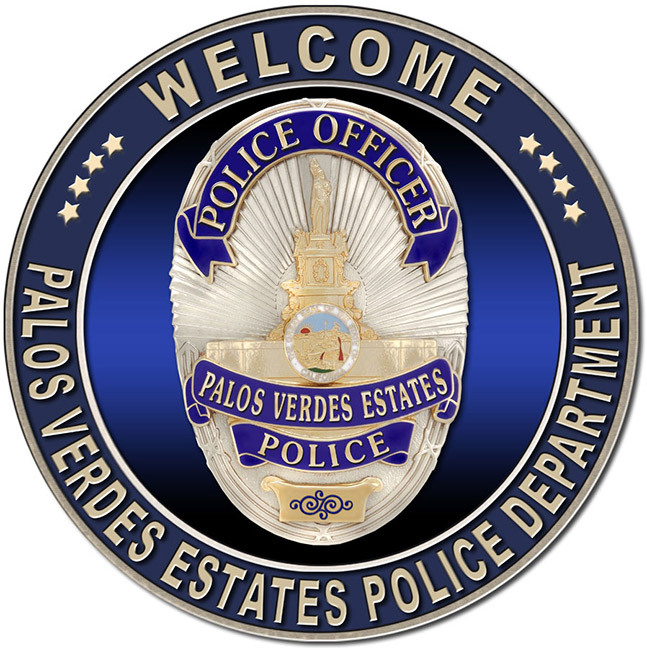 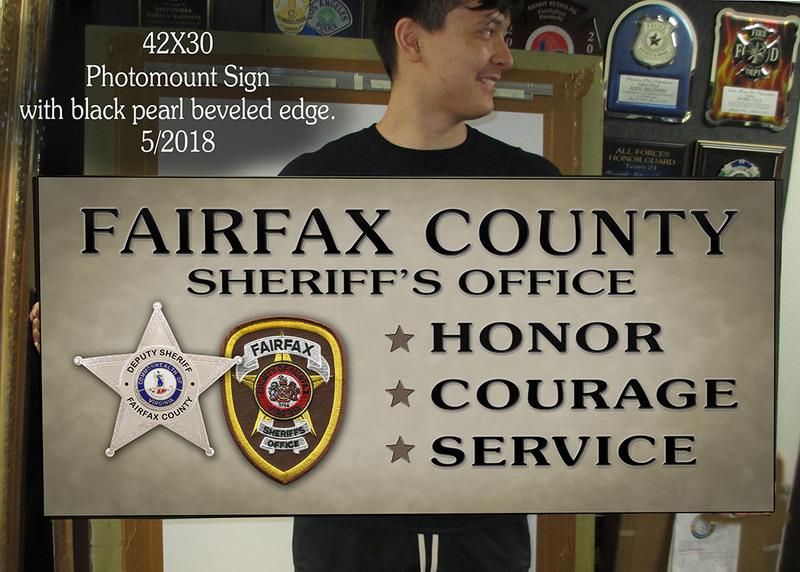 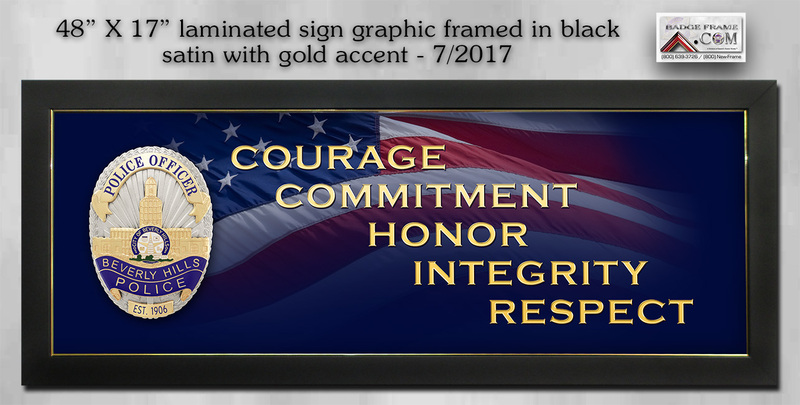 Medal of Valor Sign options for SDPD Histoical Assoc. 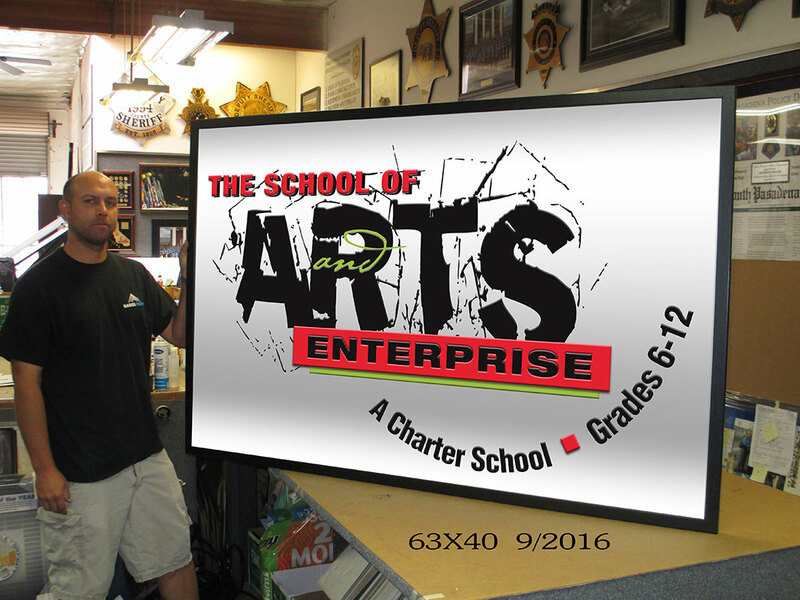 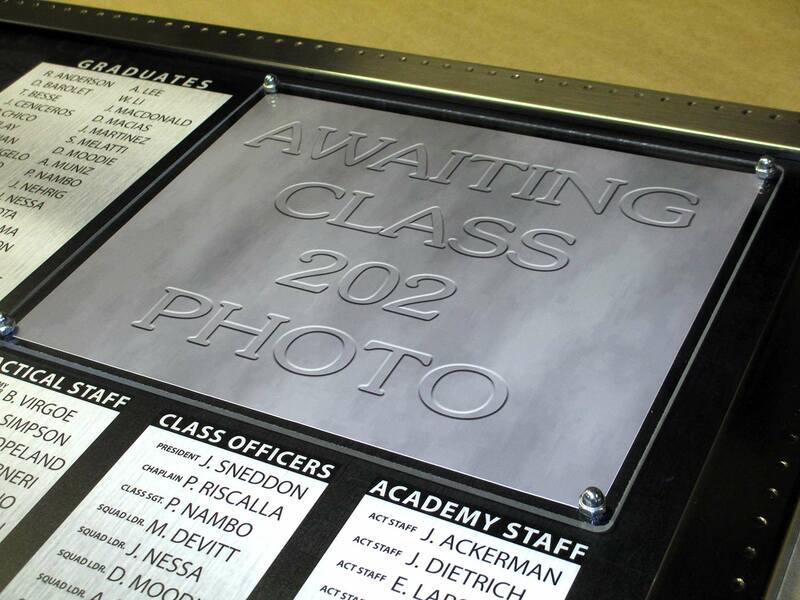 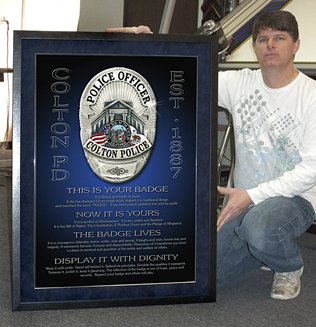 Framed graphic with laminated satin finish front in chrome dimple frame with acrylic covering for expected class picture. 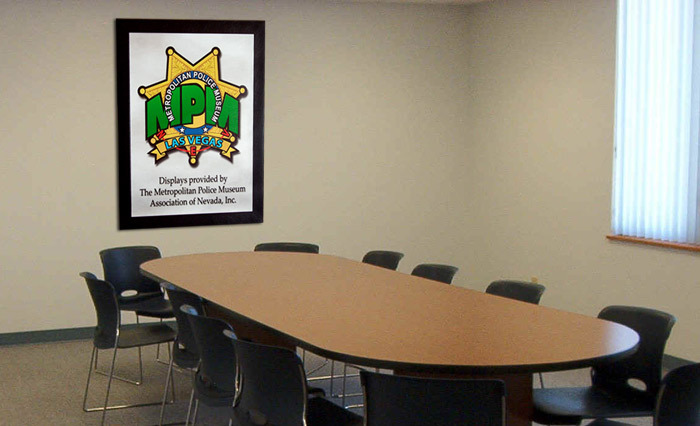 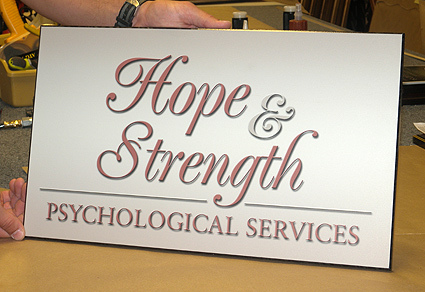 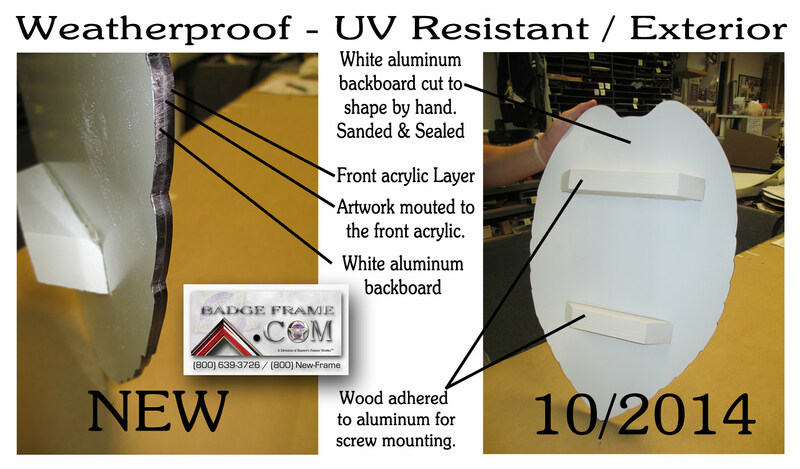 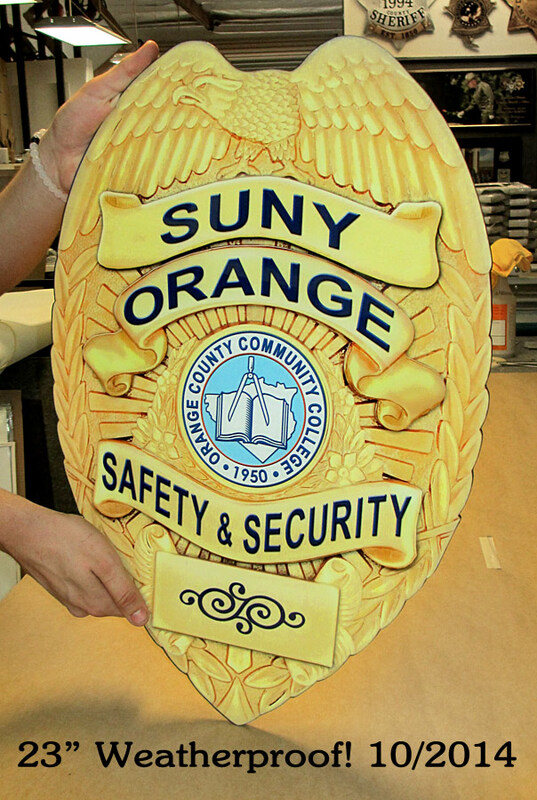 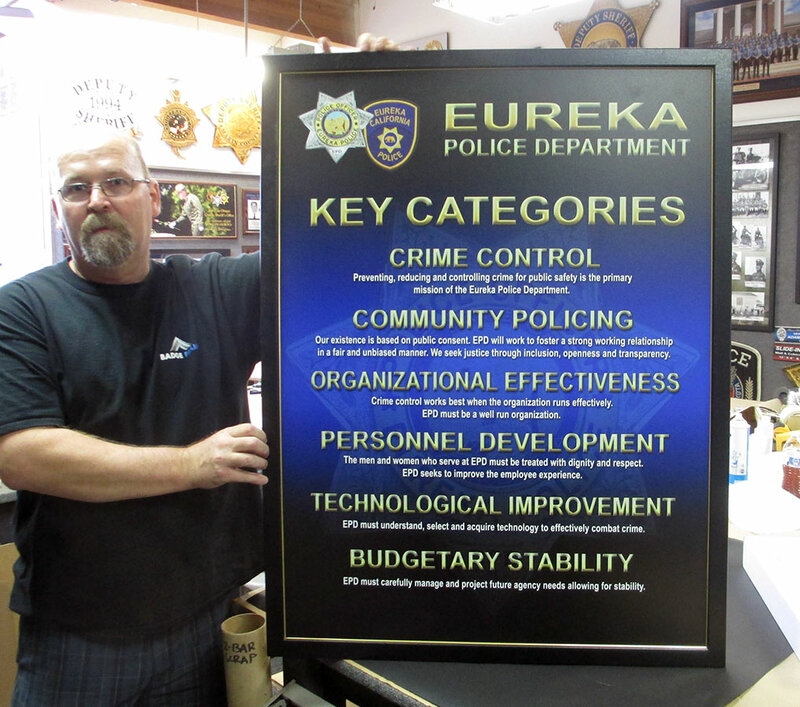 A glossy resined shield graphic cutout of 14" wood sits on top of and extends out from the framed presentation. 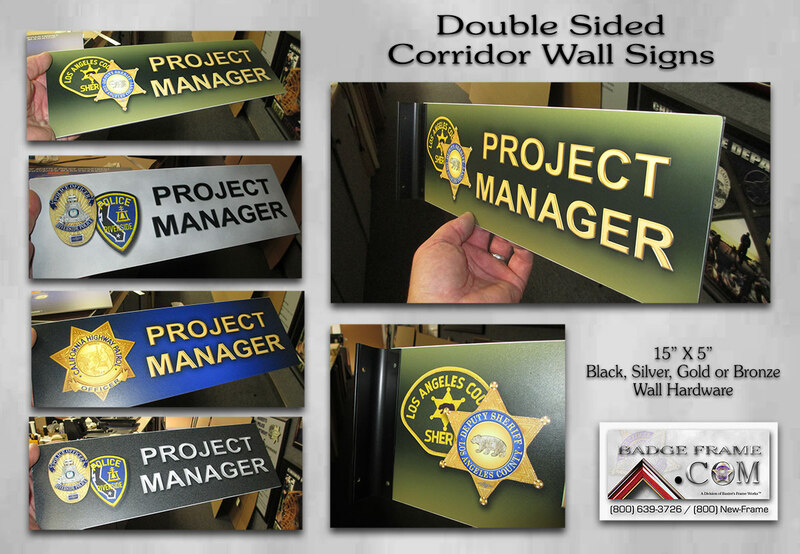 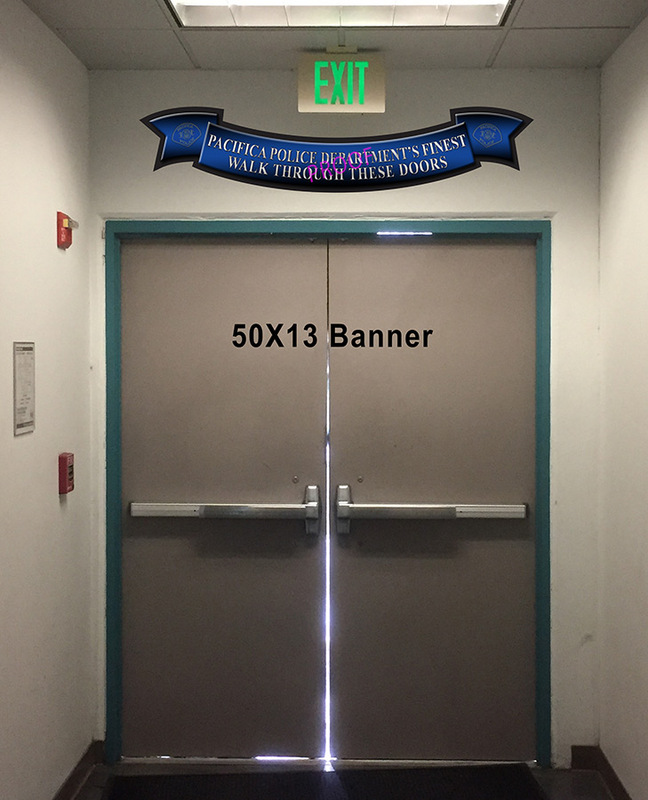 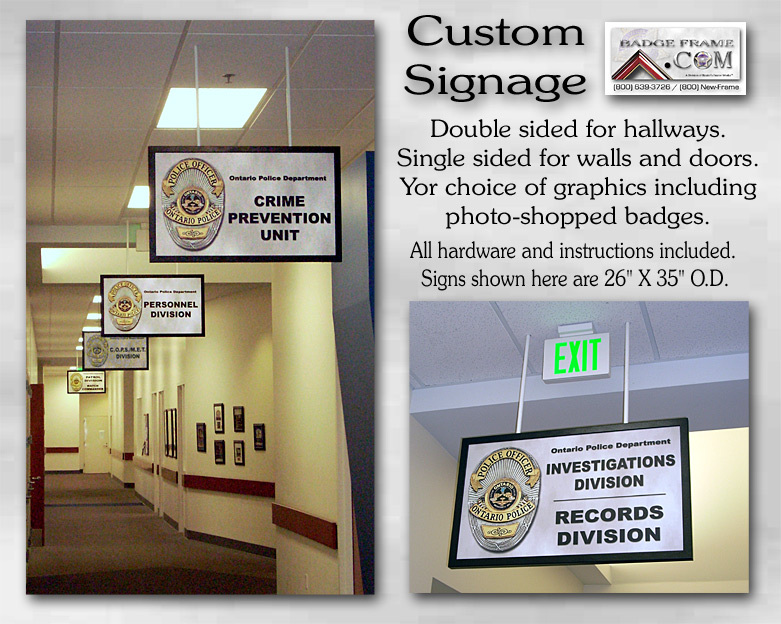 11" X 19" Sponsor Signs for the San Diego Family Justice Center Alliance..
see larger image here... 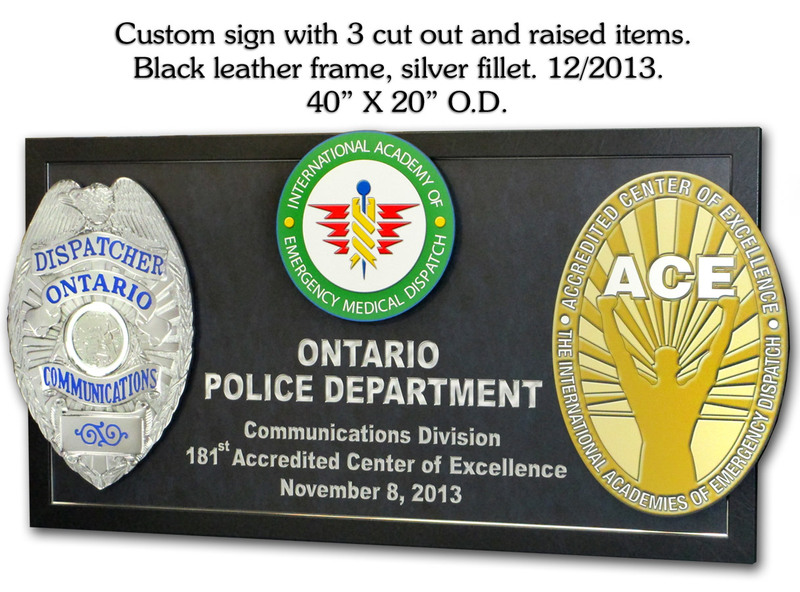 Above presentation is $430. 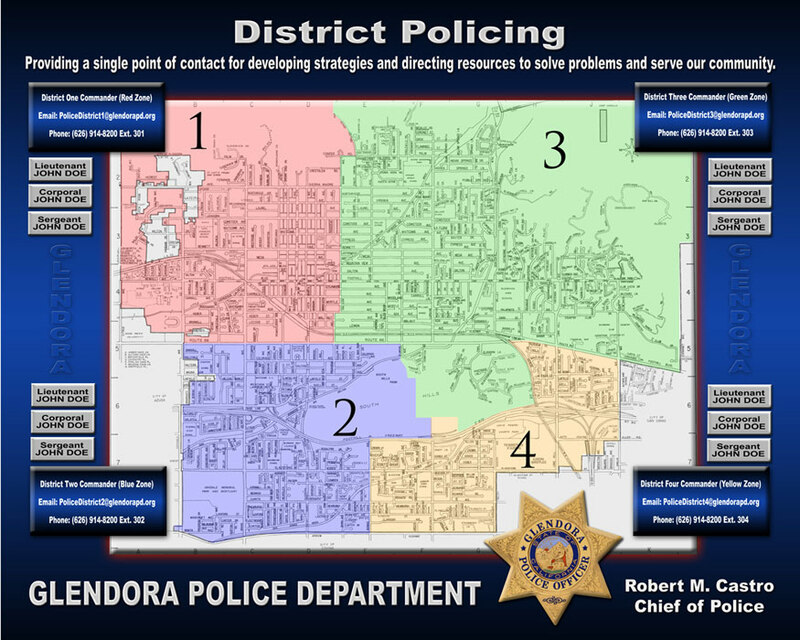 Outside Dimensions Approx. 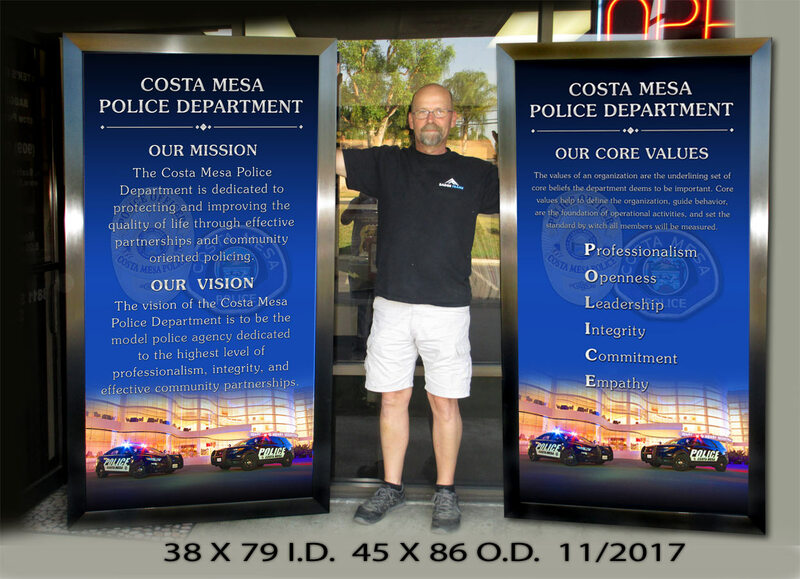 29" x 40". 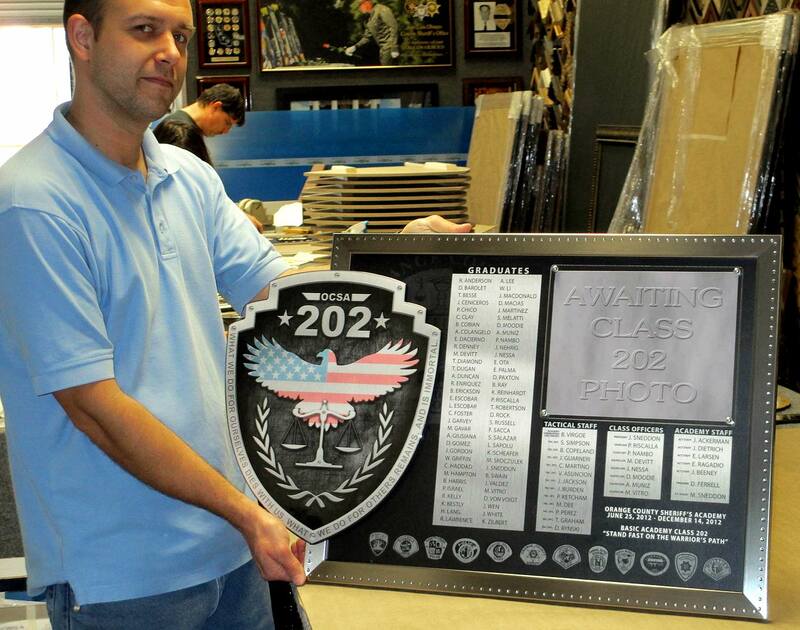 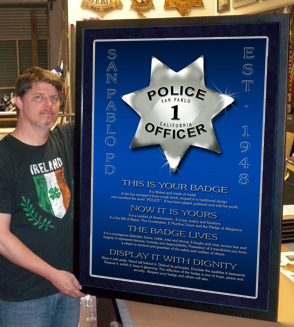 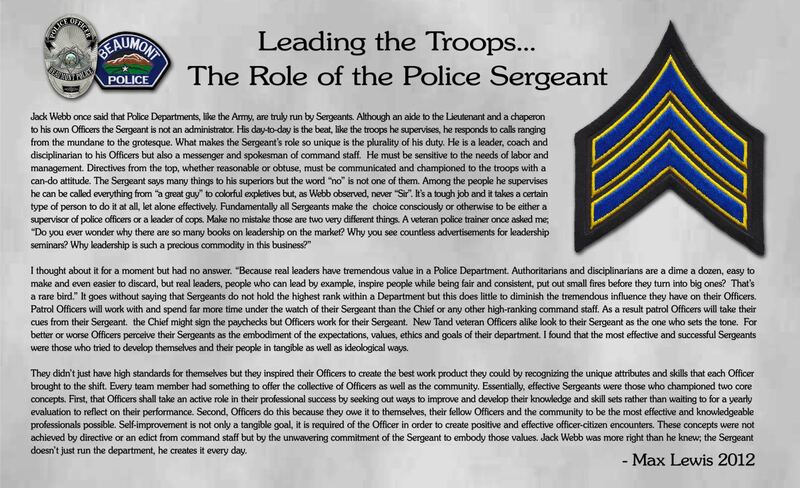 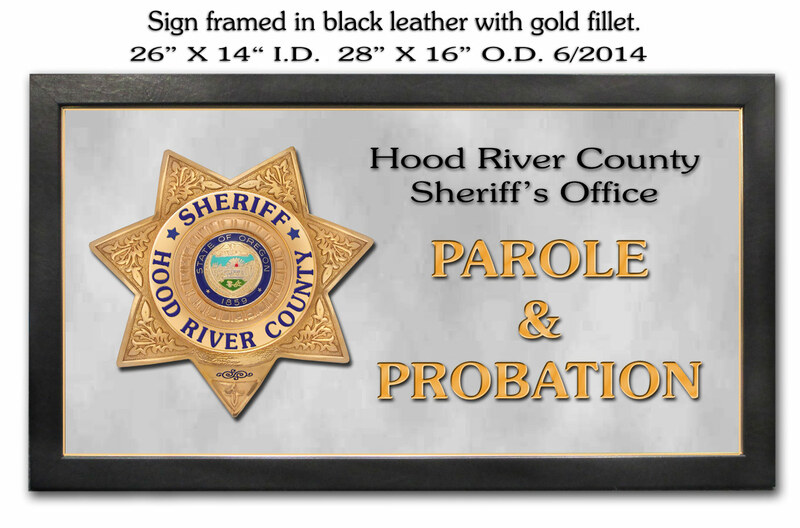 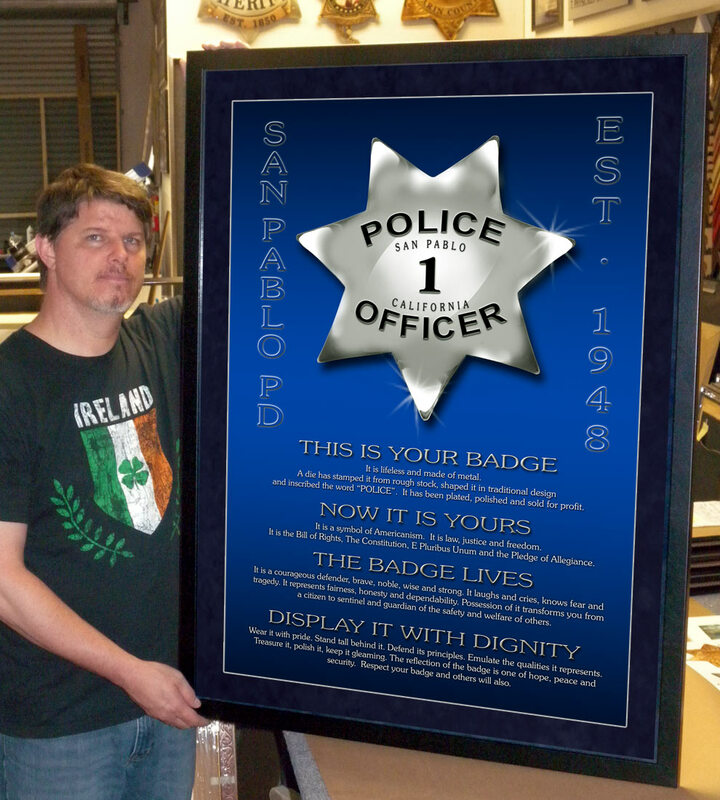 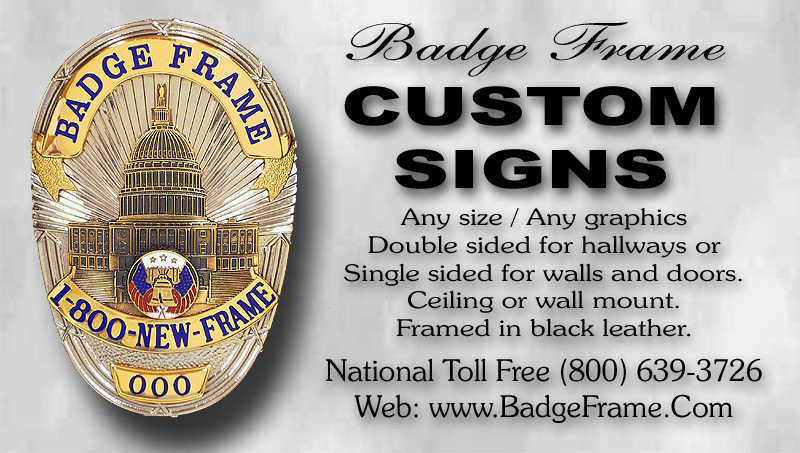 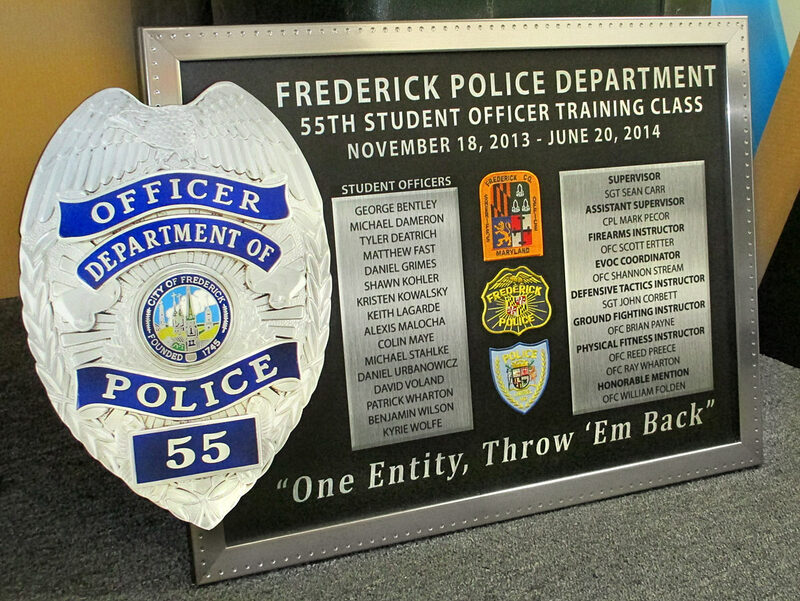 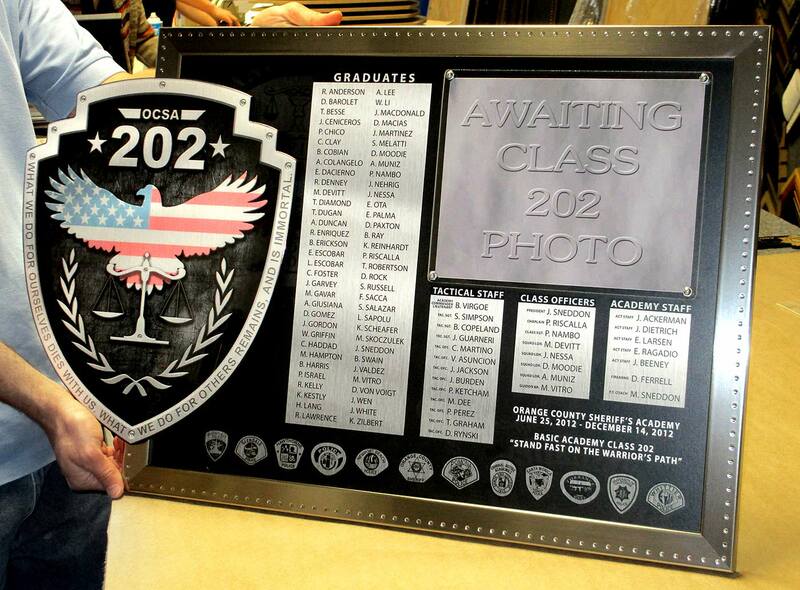 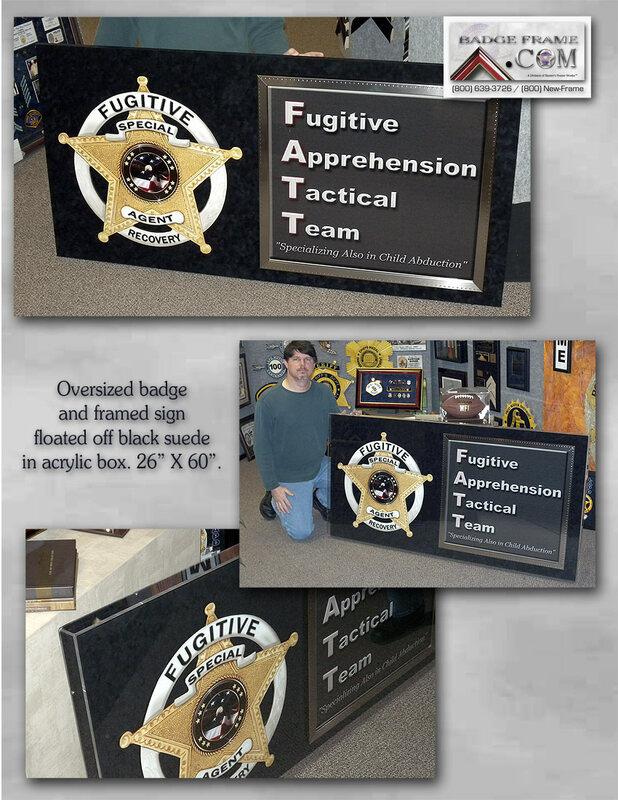 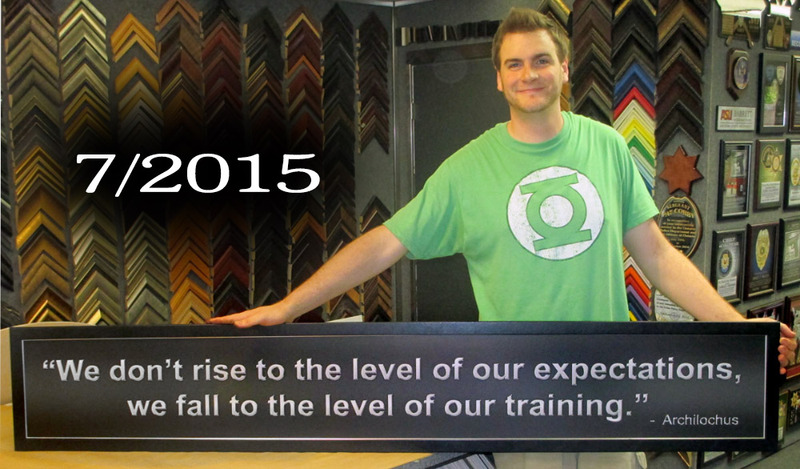 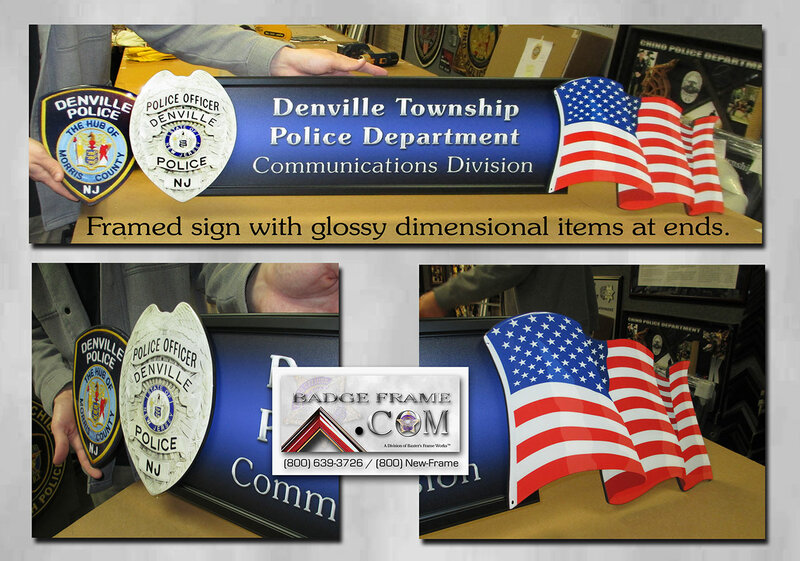 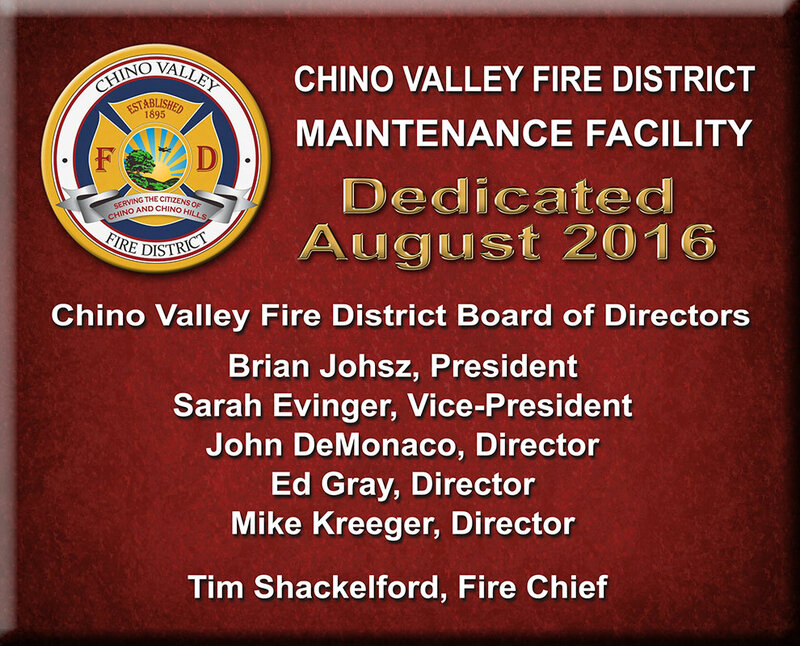 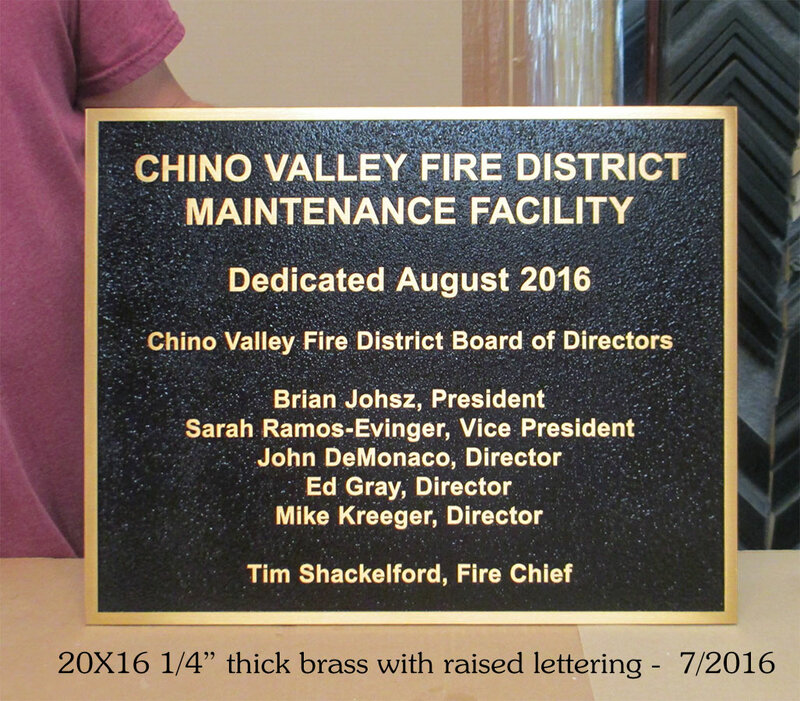 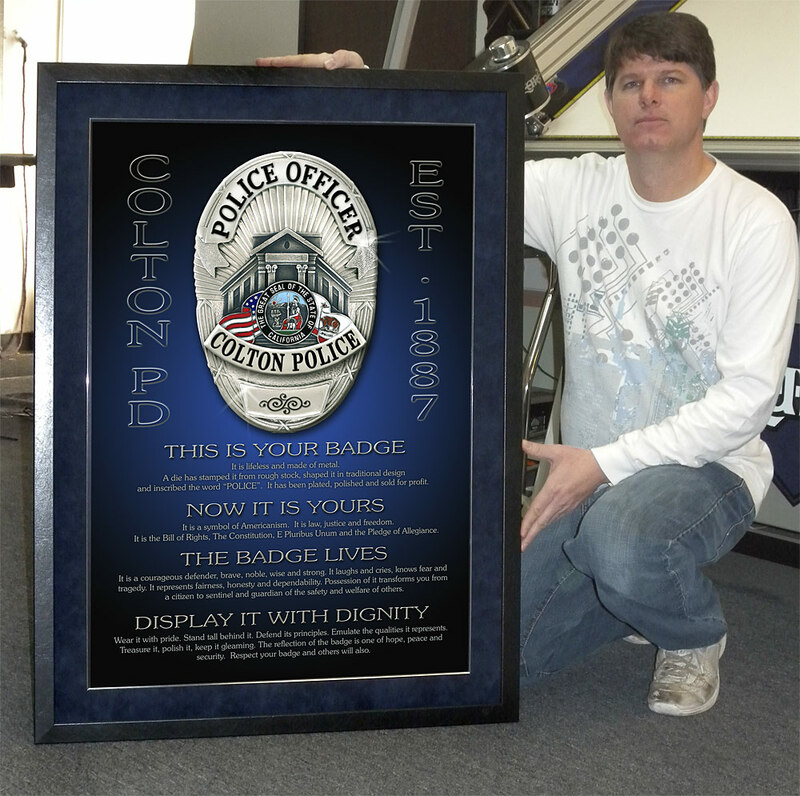 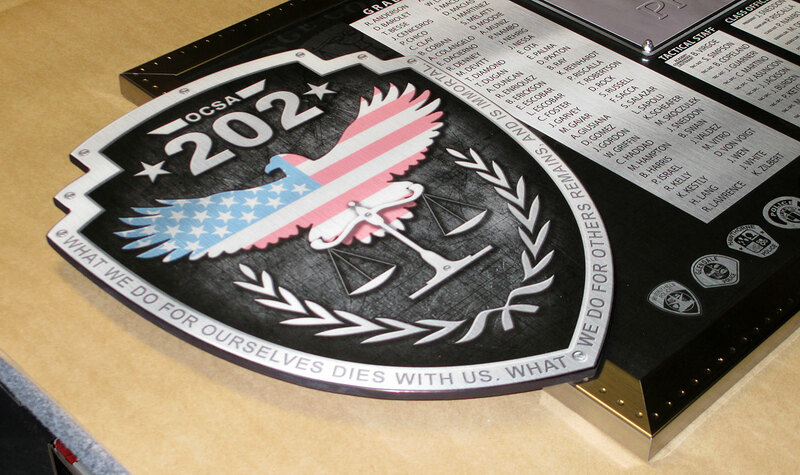 "This is Your Badge" presentation above including design, print, framing with mat & fillet. 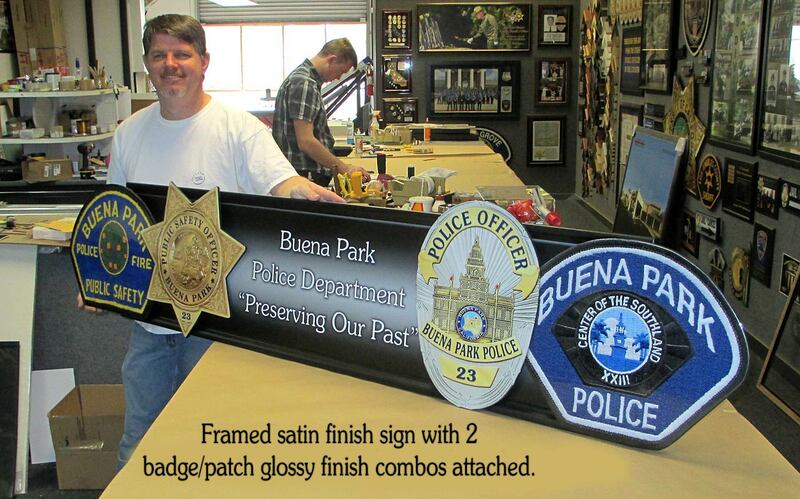 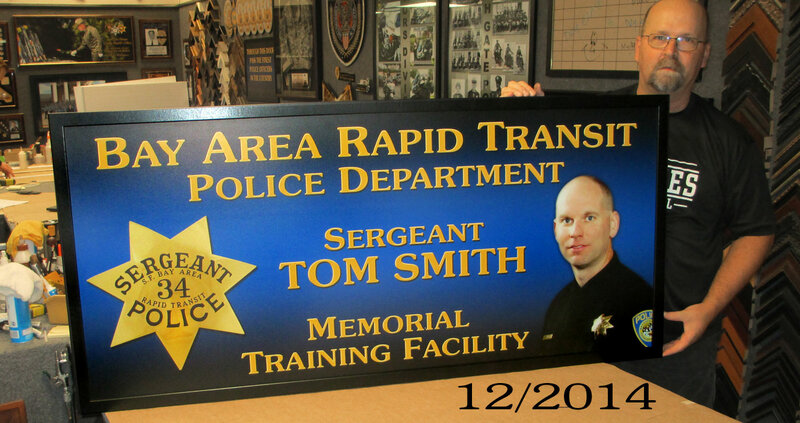 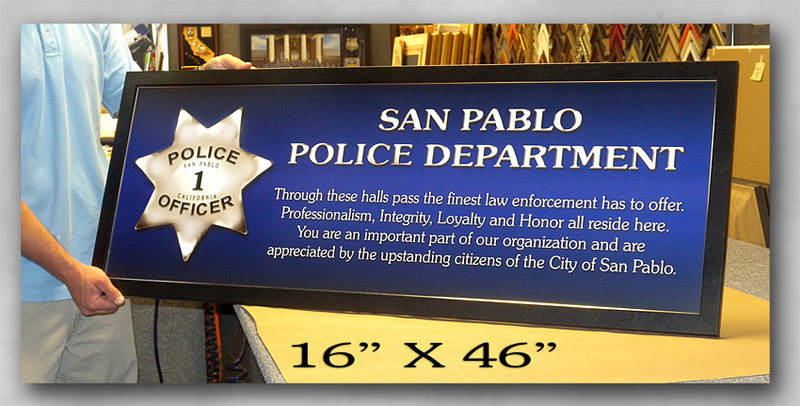 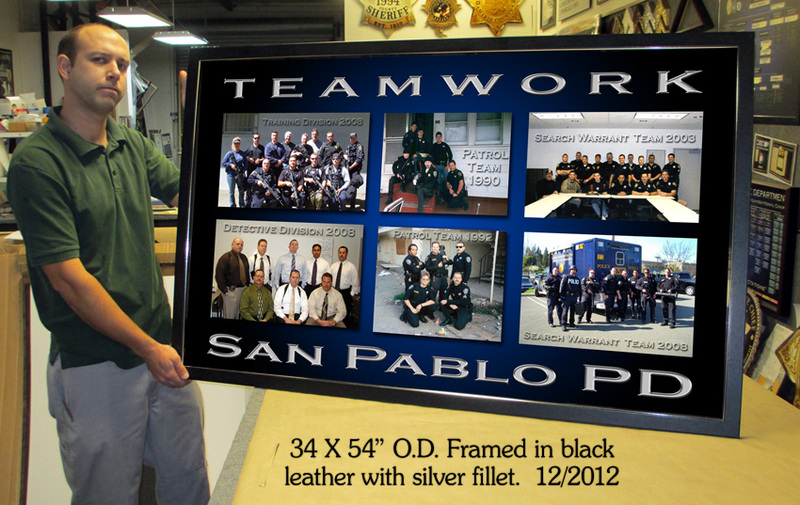 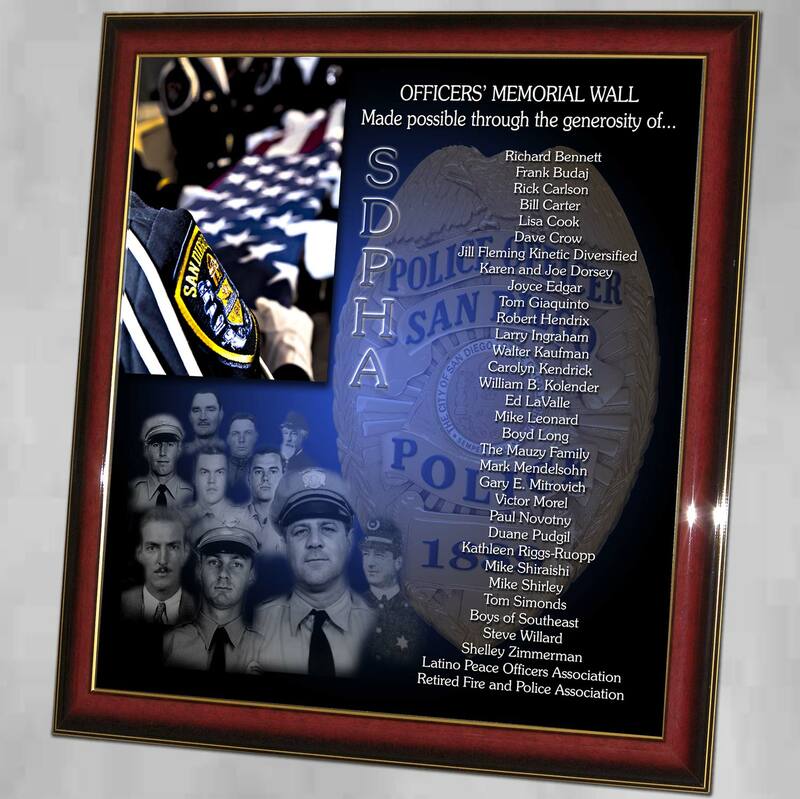 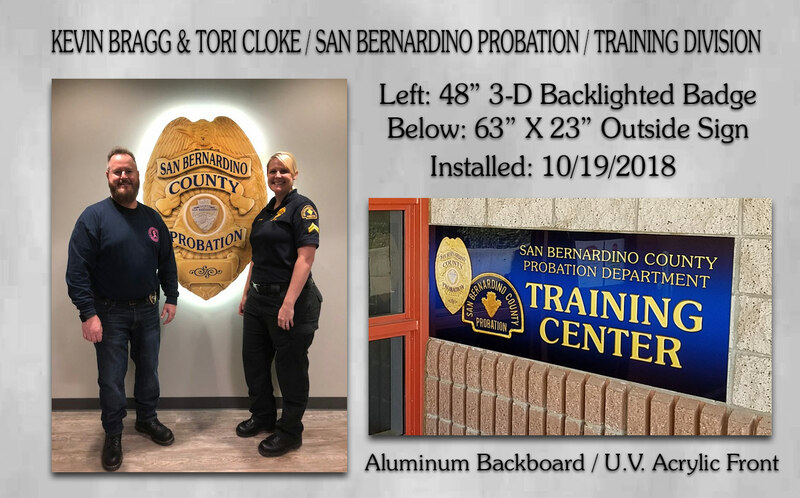 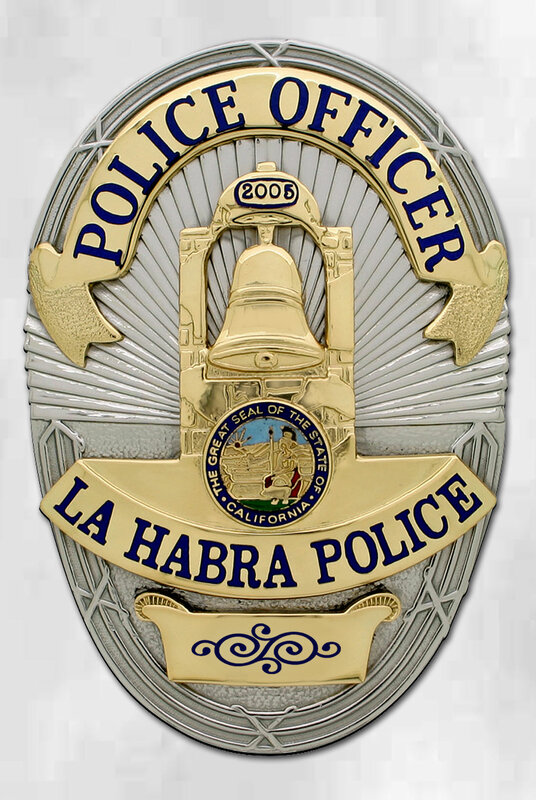 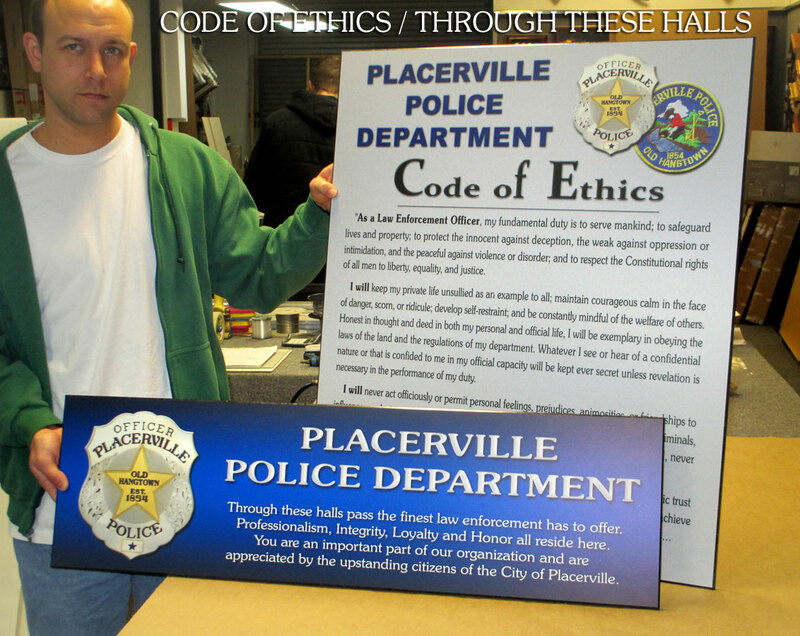 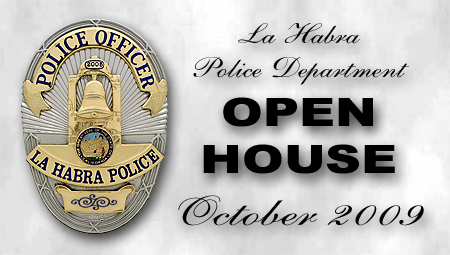 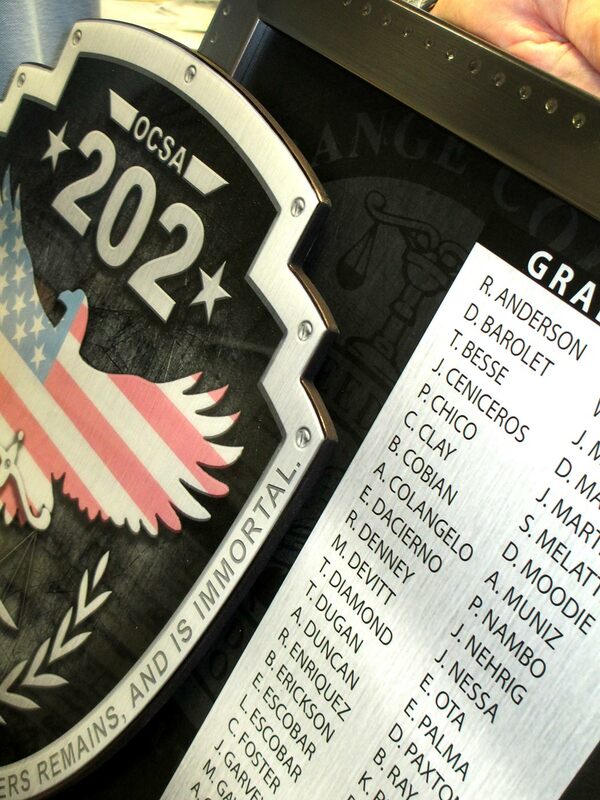 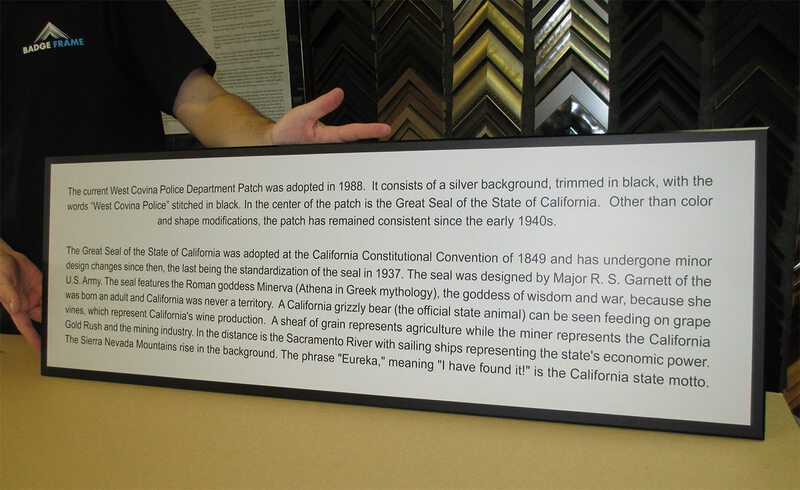 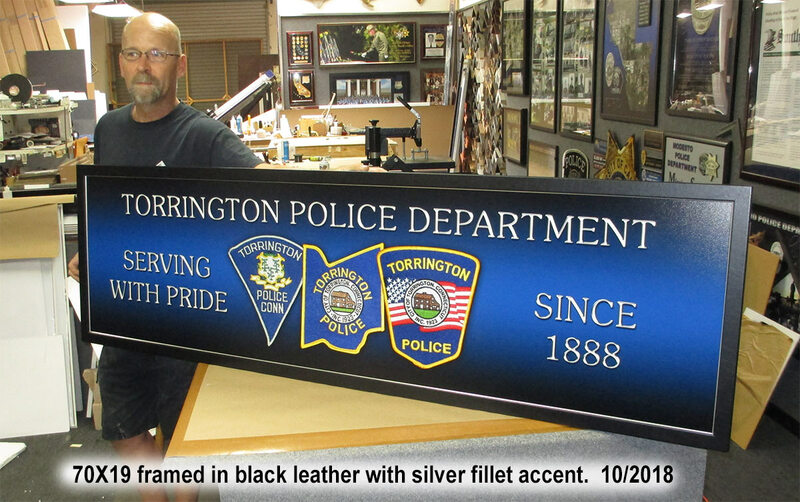 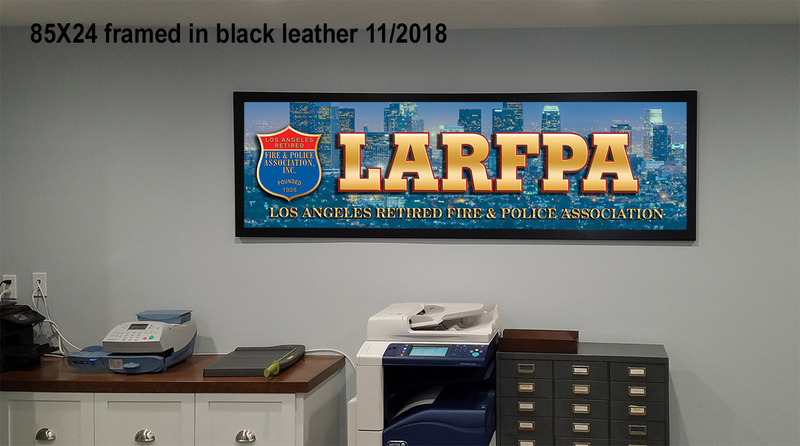 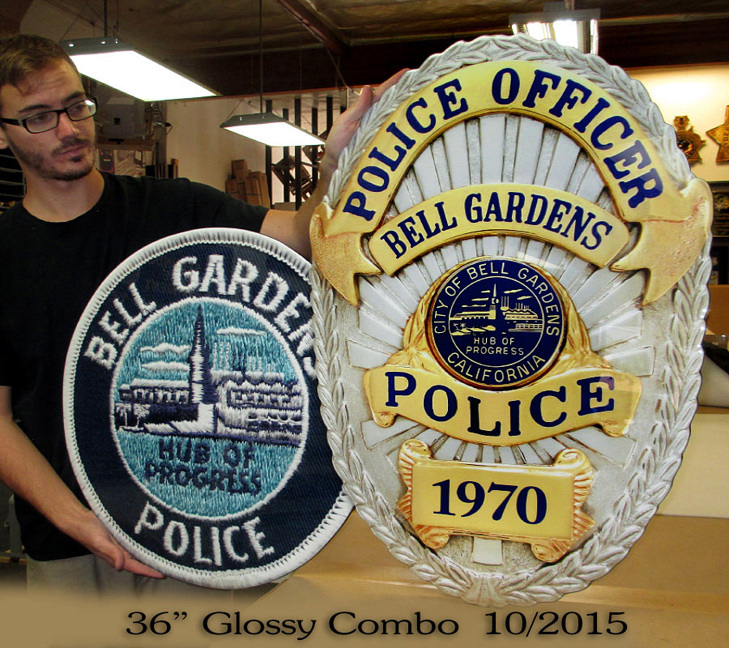 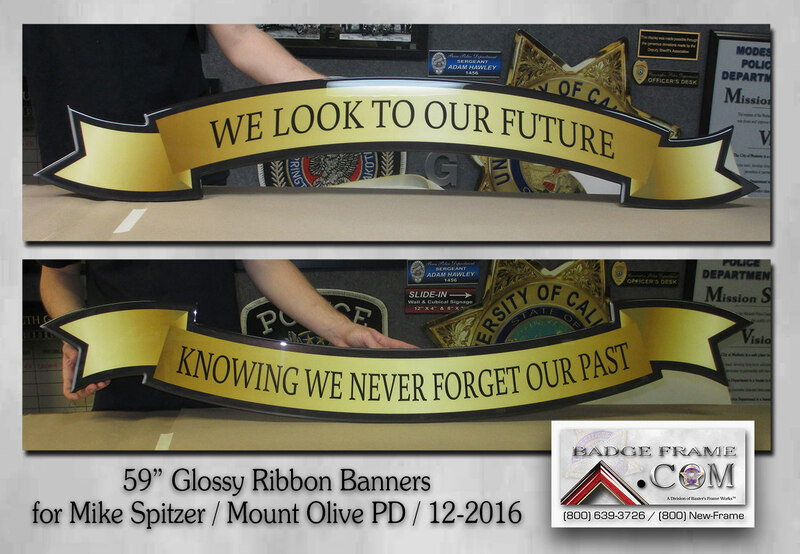 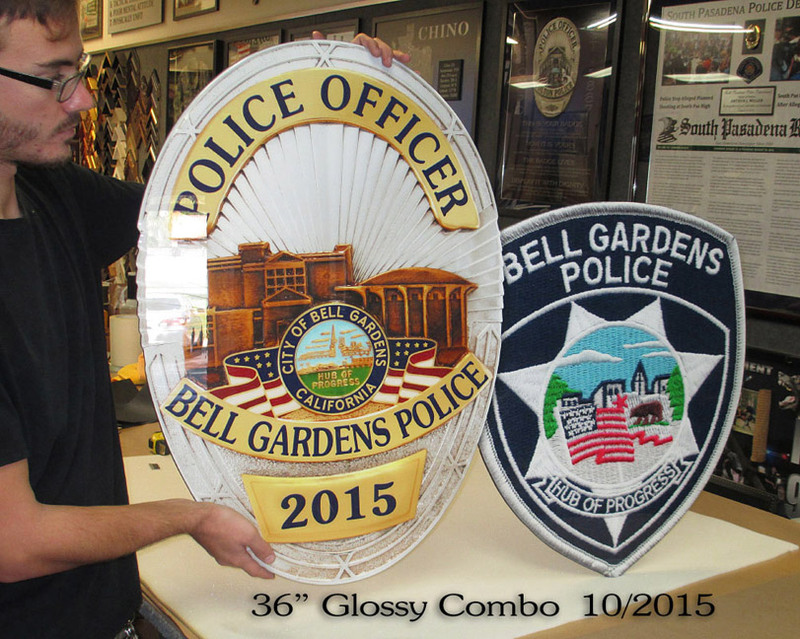 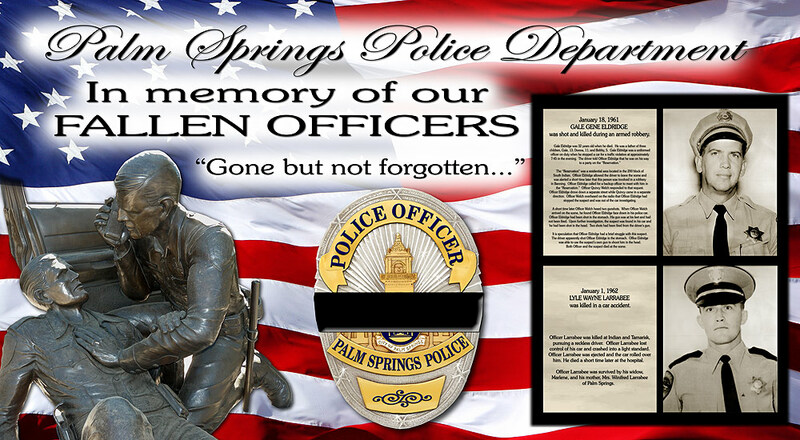 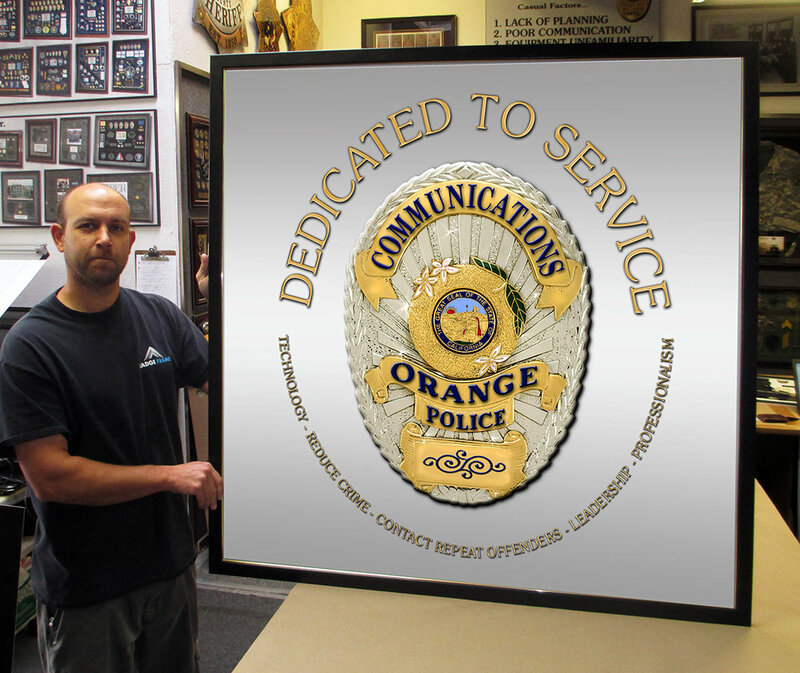 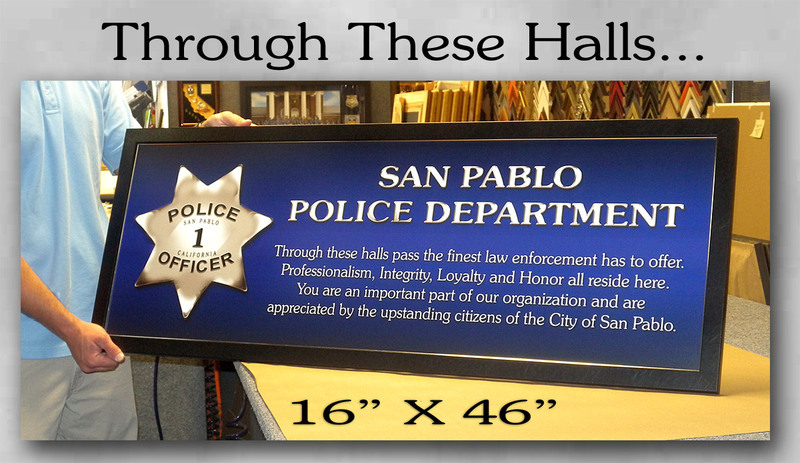 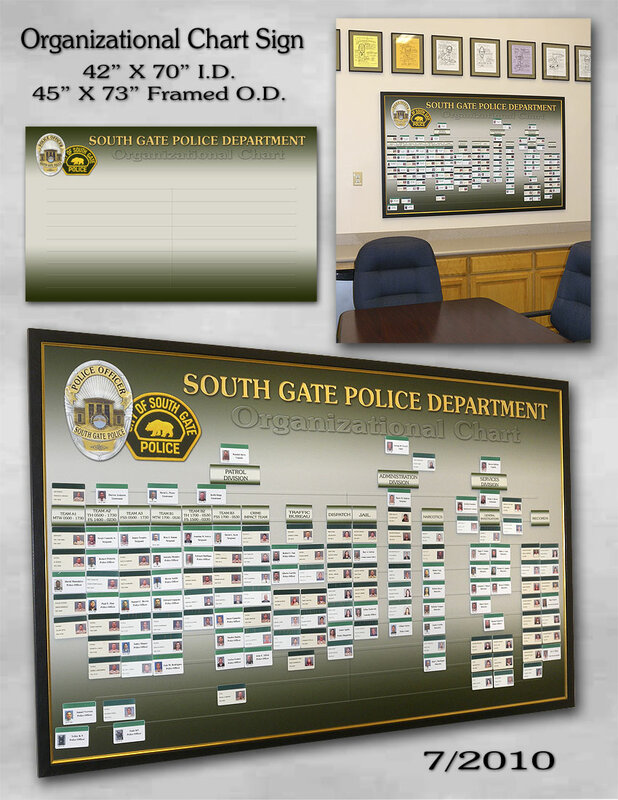 Custom Sign for Glendora PD 9/2011 40" X 50"
24" X 64" framed $459 / un-framed $390. 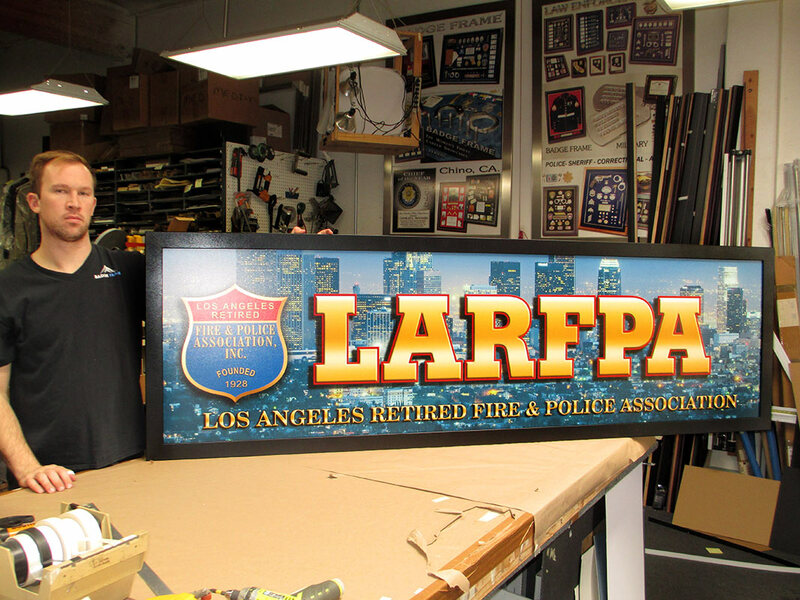 One of 11 different division signs. 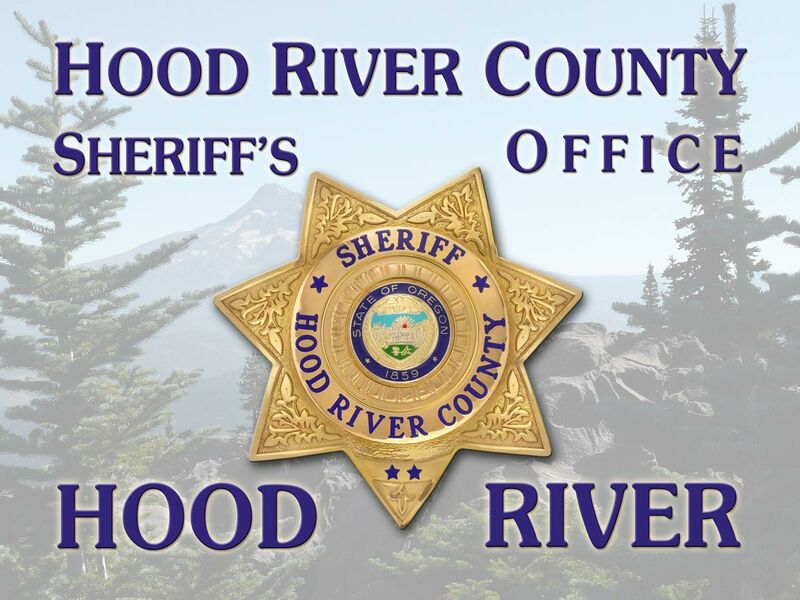 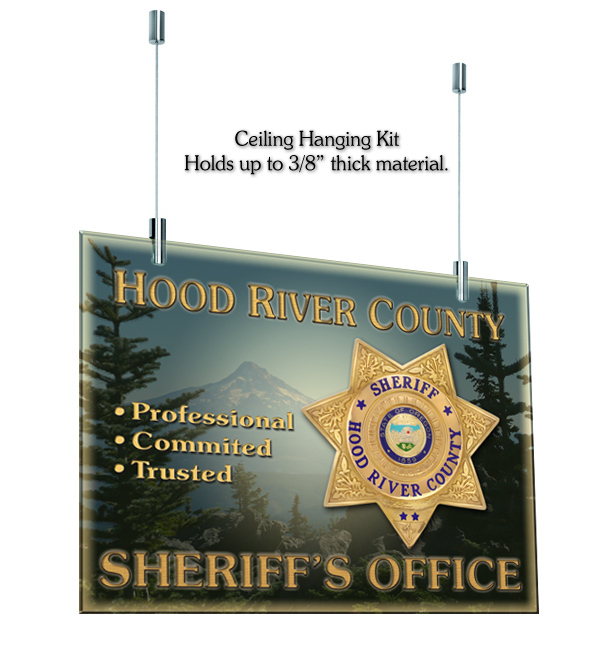 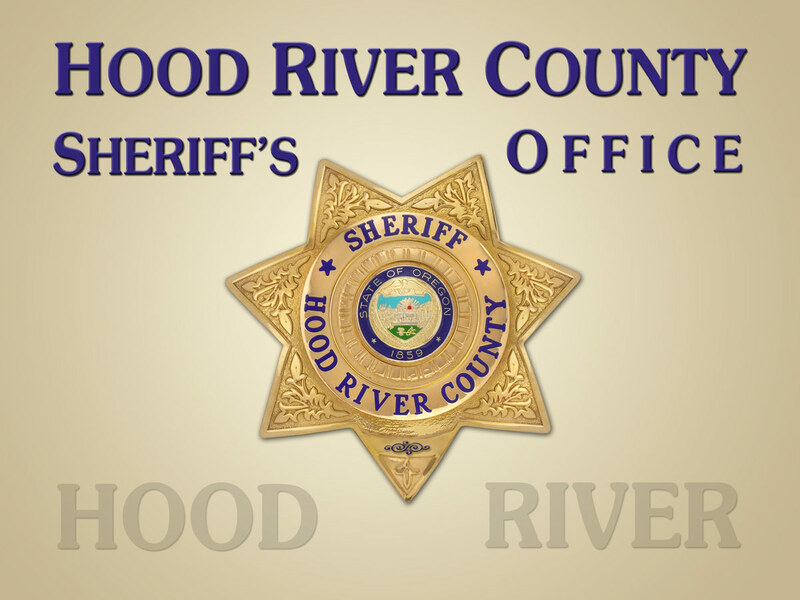 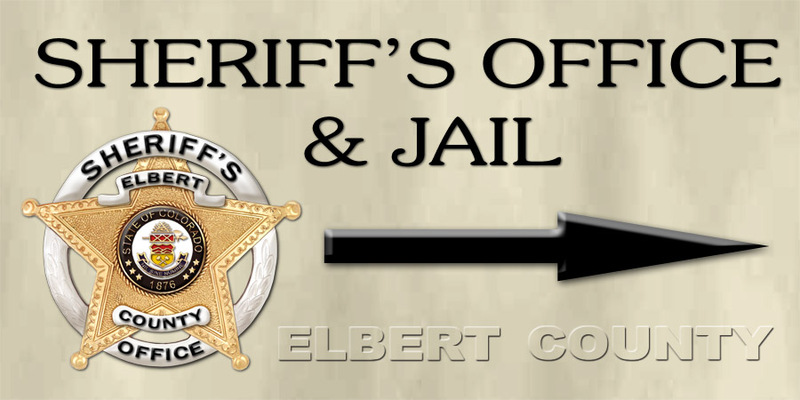 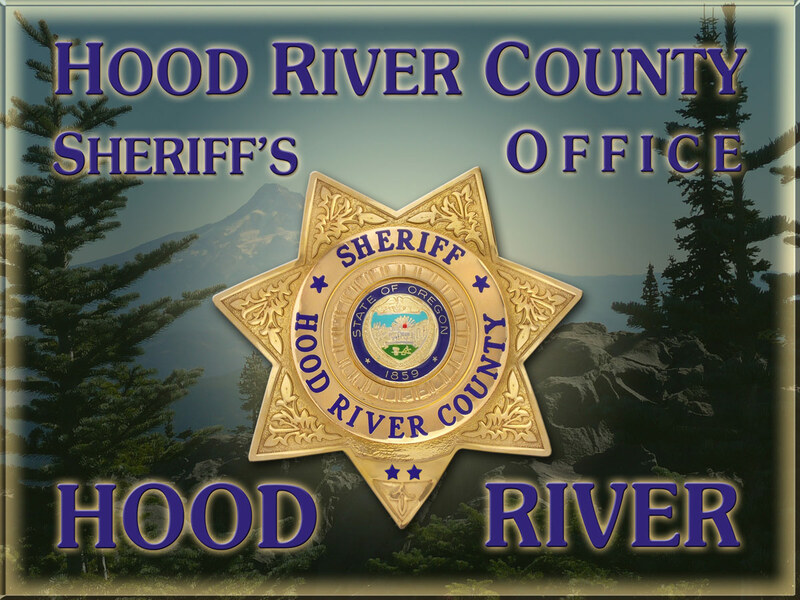 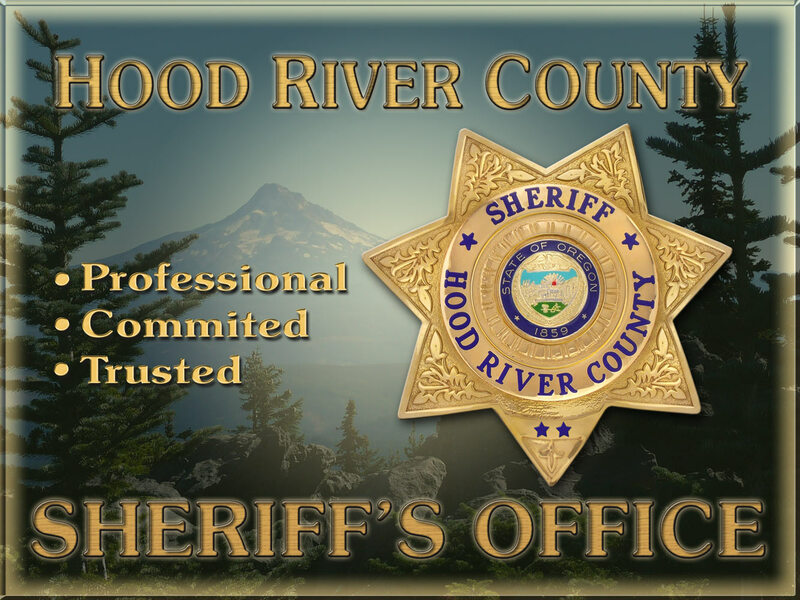 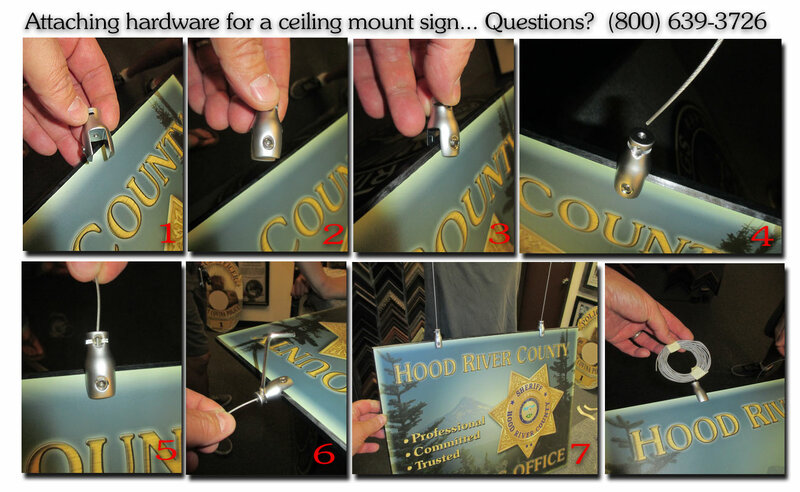 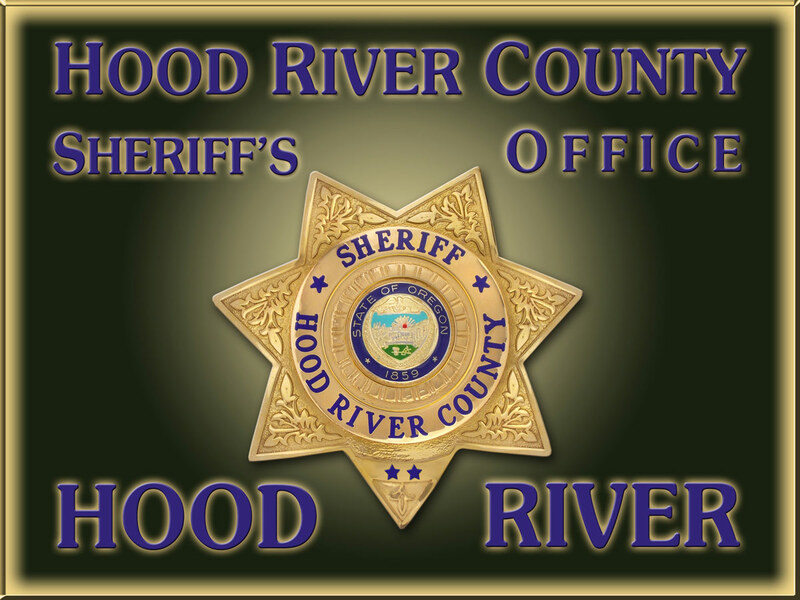 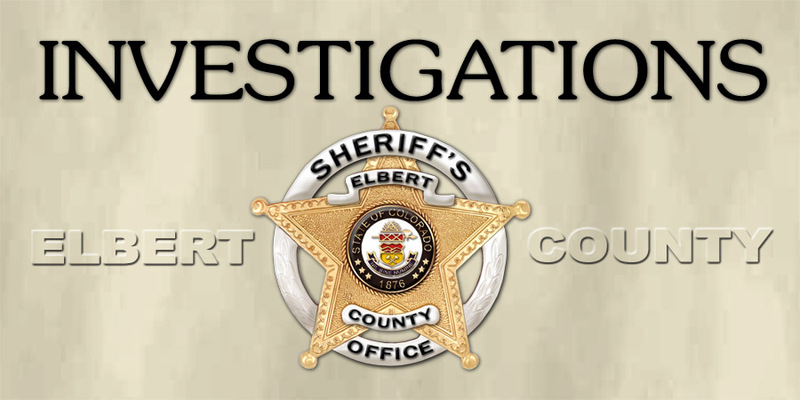 Outer dimension 6" X 12"
12" X 24" / Elbert County Sheriff sign. 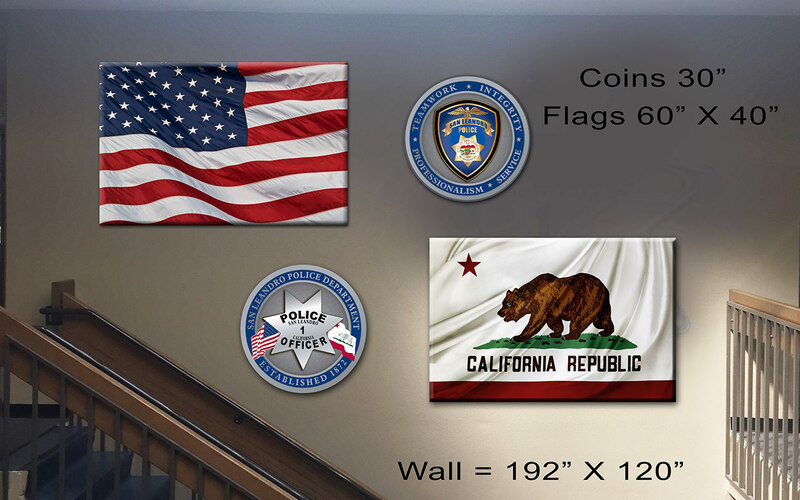 as shown $162 complete / single sided for wall.